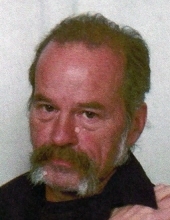 David B. Josephson, 60, of Momence, IL, died on Sunday, February 3, 2019, at the Presence St. Mary’s Hospital in Kankakee, IL. He was born on September 29, 1958, in Chicago Heights, IL, the son of Clarence and Joan Jackson Josephson. He married Debra Kelson on November 28, 1998 in Momence, IL. She survives. He is survived by a son; David Lombardo and Trista of Plymouth, MA. One stepson; Nakia and Hollie Ehrhardt of Bradley, IL. Two brothers and sister-in-law; Bob and Donna Josephson of Highland, IN, and Steve Josephson of Harvey, IL. One sister and brother-in-law; Cathy and Robert Sebock of Valparaiso, IN. His mother, Joan Josephson of Valparaiso, IN. Also surviving are seven grandchildren; Jake, Drake, Noah, Lindsie, Mya, David, and Laney, and one great grandson; Grayson. He is preceded in death by his father, and one brother; Danny Josephson. He was employed local carpenter. He enjoyed fishing. To send flowers or a remembrance gift to the family of David B. Josephson, please visit our Tribute Store. "Email Address" would like to share the life celebration of David B. Josephson. Click on the "link" to go to share a favorite memory or leave a condolence message for the family.